We are going to focus on the tag fields found at the bottom of each listing set up. You have thirteen potential fields and each field can contain up to twenty characters including spaces. Punctuation is not read by software algorithms and so it shouldn’t be used. Yes, this means your grammar will be incorrect. It is OK. You are writing for inanimate software, not the human eye, in this section of your Etsy listing. If you attempt to put in a punctuation mark (like a colon or exclamation point) you will get a pop up error. You can include spaces, commas, and numbers though. The point of Etsy tags is to help Etsy sort your listing against the hundreds or thousands of competitors also on the platform. This means you want to use keywords that accurately describe your product while also mimicking what customers are actively searching. There are a variety of programs that you can use to search for keywords but if you are just starting out I recommend Google AdWords and the Etsy search bar. I’m planning on doing more than a few Google AdWord spotlights in future articles so keep an eye out for those as I write them. If you search using the Etsy search bar you’ll find that general keywords have a higher number of results, and therefore more competition, whereas specific keyword phrases have fewer results and less competition. You want to use a mixture of both types to target your audience. 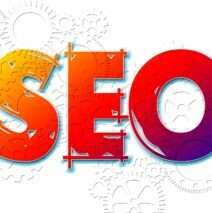 Generally, you want to shoot for specific keyword phrases to have anywhere between 100 – 800 hits and general keyword phrases can be quite a bit more. This is an approximation. I want that to be very clear. A large part of identifying working keywords for your product is playing around with it so if you discover a keyword that gets less than 100 hits and works EXTREMELY well for your product, do not get rid of it because I said so. Do what works for your company. If you have a long tail keyword that is REALLY good for your product, then you want to incorporate it into your title (which has up to 140 character spaces) and your description. So in summation, the truth is that Etsy tags are vital to your shops visibility. If you use keywords that are not relevant, single words, or just too general you won’t get views and that means sales are a long way off. Does it make a difference with the order of the keywords? Blue Wool Infinity Scarf for example – if you use blue wool scarf, it’s not in that order in your title. Does that matter? Awesome question! Presently, the order of the tags does not matter on Etsy. But the tags don’t match the title order. And title order does matter, yes? I was under the impression that you needed to match the titles exactly. So, using a tag that is not in the title hurts you? Or just doesn’t register? Such a great point about how you split up your long tail keywords. I’ll definitely be watching out for that as I improve my keyword game! Where do you go to find key words and compare “hits” and how well they will do? Thank you! Very interesting about long and short tails. I need to review my tags on that basis. Thanks a lot for that insight. Do you have any links to shops that are good examples that you could share? – side note, I just discovered your blog, and it is so very helpful! thank you!! Thank you so much for your kind words! I don’t have any clients offhand that have given me permission to share their copy but you could always join my VIP group on Facebook Copywriting for Creatives. I gift my members free critiques and services, including title and tag revisions, on a monthly basis so that would be a good place to look. Thank you! Very straightforward and helpful. You made a confusing topic easy to understand! Thank you Kateland! Best explanation of SEO tags I read so far!!! Thank you Kateland! I found this to be immensely helpful. I’m especially grateful to learn how to divide long tail key phrases.